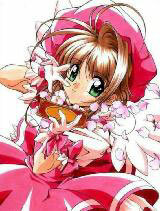 You are going to Watch Cardcaptor Sakura Episode 2 English dubbed online free episodes with HQ / high quality. Stream Anime Cardcaptor Sakura Episode 2 Online English dub Sakura’s Wonderful Friend, Tomoyo meets Cerberus after she discovers Sakura’s secret and gets a full explanation of the lost Clow Cards and Sakura’s designation as Cardcaptor. Cerberus gets given the nickname “Kero-chan” that will stick for the rest of the series. The next day, the students find the school’s desks and equipment in large piles. Kero believes it was the work of the card and forces Sakura to go to school at night where she confronts The Shadow. Using the Windy card’s binding ability, Sakura is able to capture the Shadow card. Sakura finally accepts her role as a Cardcaptor because of Tomoyo’s support.